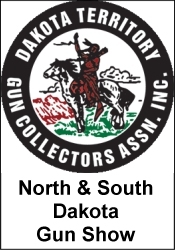 Caldwell, Idaho National Guard Gun ShowDecember 8th and 9th, 2018, Hours: Saturday 9 am to 5 pm, Sunday 9 am to 3 pm. Admission $6.00 12 years and younger are free. Location 1200 South Kimball, Caldwell, ID 83605 at the Caldwell National Guard Armory. This Show will have a large variety of firearms, and accessories such as, holsters, fishing lure tying tools, targets, custom knives, military memorbilia, reloading equipment, ammuntion, NFA weapons, firearm related metal art, mining equipment and military gear. For more information Call Ray at 1-208-870-1712 or Michael at 1-208-991-7645All federal, state and local firearm laws and ordinances must be folllowed.